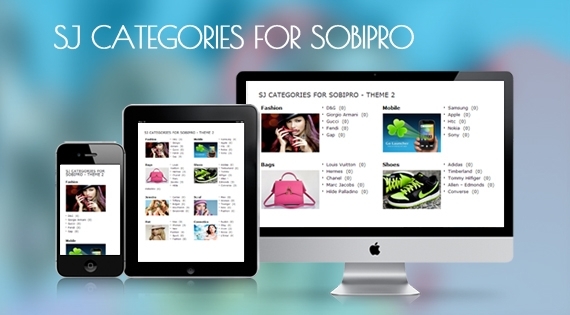 SJ Categories for SobiPro with 4 themes will allow you to set up category showcase right out of the box. Text only, or illustration with images is supported by different themes. Made for SobiPro up to 1.0.8, this is a responsive Joomla! module that help your directory Website be compatible with all device screen sizes. Being special with its hover or click effect, this module can show categories by tabs without any difficulty and with cool animation. Ability to fetch images from external location is also available if you want to customize more when showcasing no-image categories.